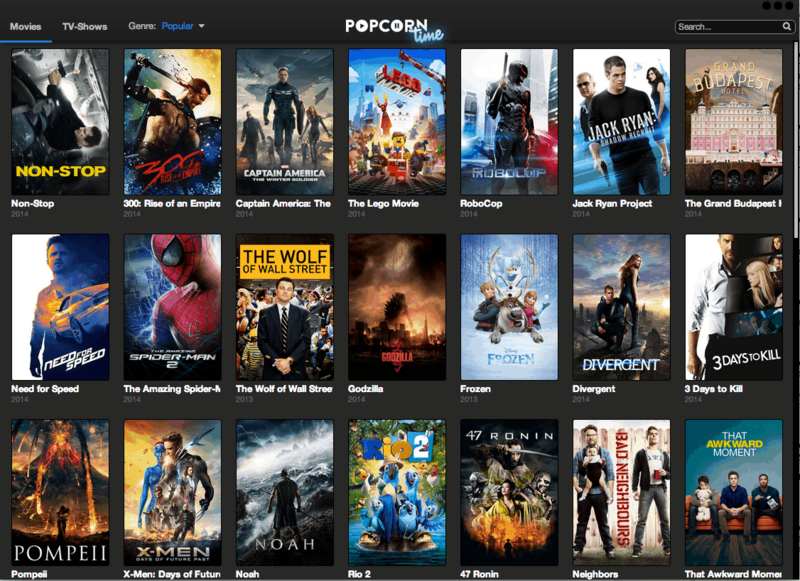 That an iOS app for Popcorn Time will allegedly be made available in the official Apple iOS App Store and not something that is only available for jailbroken devices. Not much surprises me, but I’ll be surprised if this actually winds up in the App Store (or stays for very long if it does). Sure, it might help sell a few extra iPads but I just can’t imagine Apple allowing it. Part of the post’s disclaimer: Note: Some of the contents available via Torrent sites may be illegal. Apple TV Hacks is against piracy and the contents of this post are intended to be used for educational purposes only. For educational purposes I tried out the software on my Mac a couple of months ago. The interface was beautiful and easy, but movies would not display properly. I tried it again tonight after seeing the post about the iOS app and the interface was still beautiful and easy…and at least the first and only movie I tried displayed properly and looked great. After years, Bit Torrent and its ilk haven’t gone mass market. But Popcorn Time is a different animal. Most of the barriers that exist with Bit Torrent and download vaults aren’t present with Popcorn Time and if it really makes it into the App Store the only barrier will be downloading it. Assuming it’s a free app, the lure of “free” (many might say, “stolen”) content will make it a very popular app. It’s as easy to use as Netflix — actually a little easier actually since you never have to enter an e-mail address and password. Again, I just can’t see Apple allowing it into the official App Store and expect it will be something only jailbroken iOS devices can utilize. I too am against stealing movies and TV shows, but if I’m wrong and Popcorn Time gets into the App Store and stays there that’s a game changer.